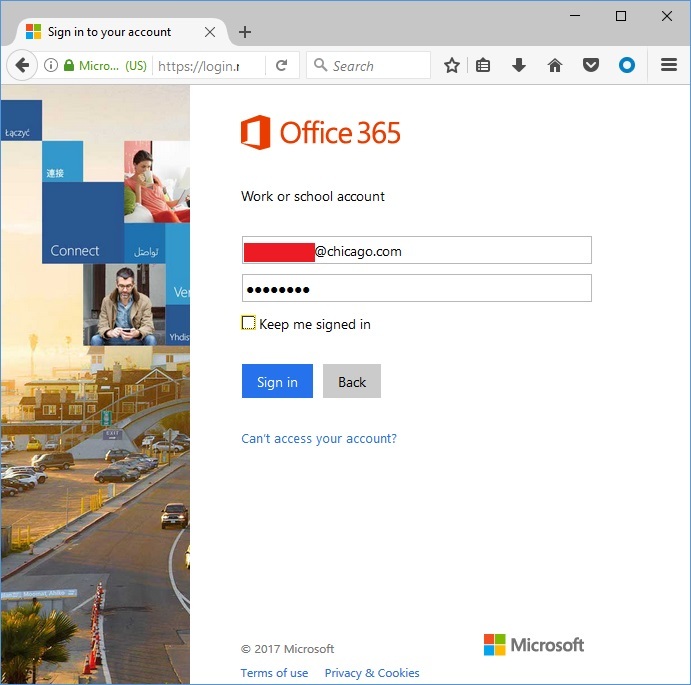 Open https://portal.office.com to activate your account. 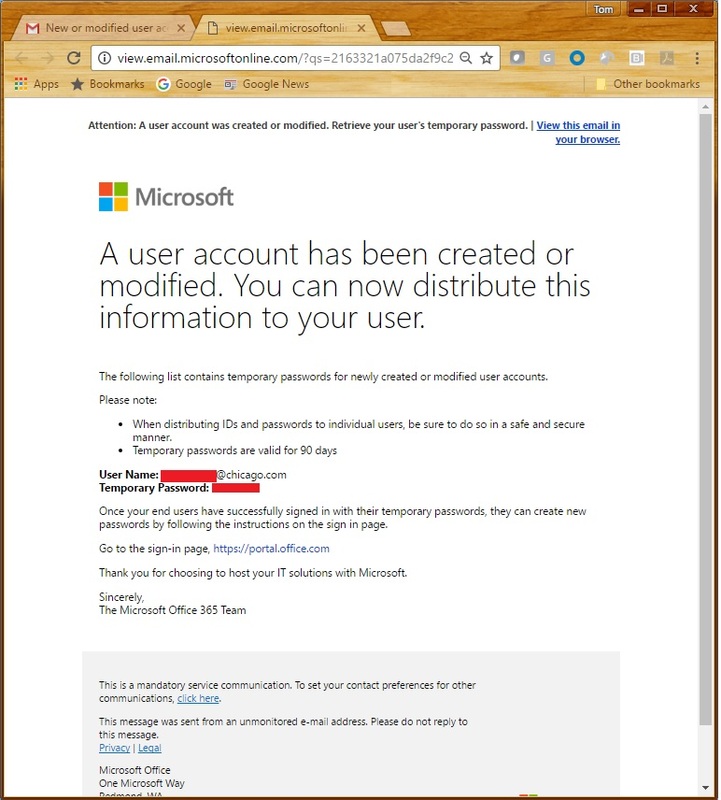 Enter your temporary password (again) from the email you received. Enter a NEW password two times. 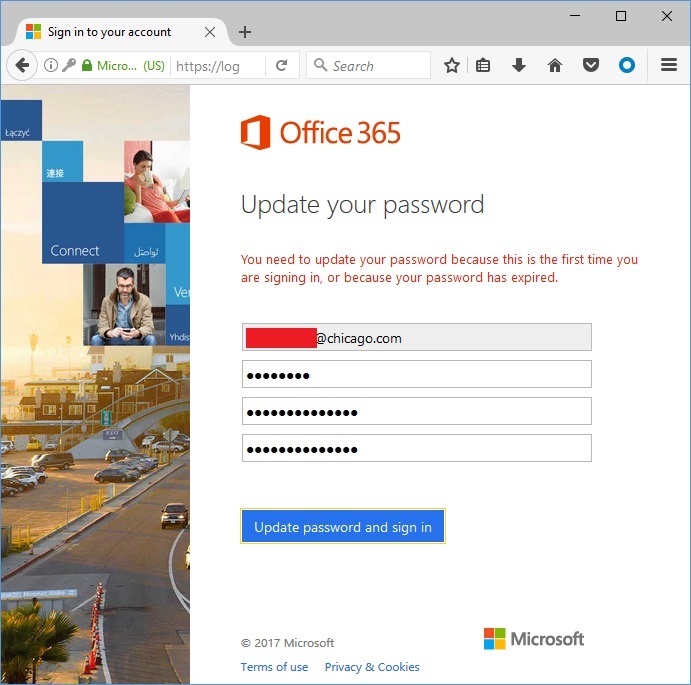 Update password and sign in.